Some zodiac signs are just better at emotional connection than others. Are you an empathetic person or do you sometimes struggle to feel anything at all? Some zodiac signs struggle in the area of emotional availability. Other horoscopes connect with their feelings more than most, and that's a unique problem in itself. If you’re compassionate, it means that you acknowledge someone else’s emotions. If your best friend is having a bad day, you can say something like, “I feel you,” and she knows that you get that her day wasn’t that great, and if possible, you want to cheer her up. If you’re empathetic, you feel the same emotions that your BFF is feeling on her bad day. Maybe she’s feeling frustrated and exhausted because her bad day started with a fight with her roommate. Empathy isn’t just a personality trait – it’s an important skill, too. To be empathetic means to be able to understand and relate to someone else’s emotions. Empathy can often be confused for compassion, but it’s slightly different in meaning. Not only do you feel sorry because her day was so terrible, but you’re also able to share in those emotions; you feel yourself getting frustrated and exhausted, too. Those zodiac signs who are empathetic are the best people to have in your life if you’re really looking for someone to relate to what you’re going through. Not all zodiac signs are feelings-oriented. Some Sun signs have a hard time really understanding someone else’s emotions if they’re not the ones going through it. It’s as if they need to be in the exact same situation to really get it. This doesn’t make them bad friends or people, it just makes it a little harder for them to get where you’re coming from. 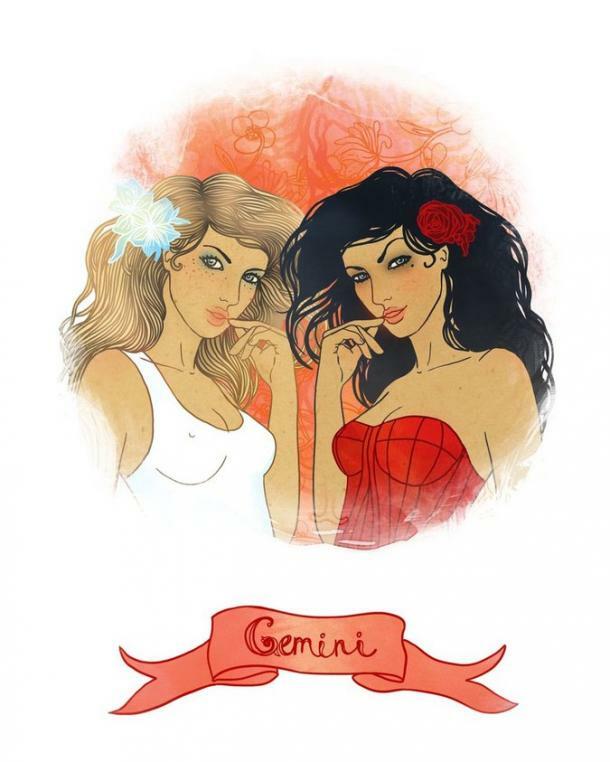 The most empathetic zodiac signs tend to share similar personality traits. They’re usually very intuitive and sensitive, easily overwhelmed, and are constantly building others up and sharing their big hearts. While being an empath is a wonderful trait to have, it can also be incredibly draining. Empathetic people sometimes feel like they spend all of their time relating to and helping others that no one takes the time to understand them. Being so in tuned with the people around you and using all of your energy to take on other people’s problems – whether you want to or not – can be exhausting. And honestly, if anyone deserves a thank you every once in a while, it’s our empathetic friends. Empaths can come in a few different forms as do horoscopes and their personality traits. There’s the amazing listener – the one who actively listens to you when you vent and knows exactly what to say when you need to hear it. There’s also the one who instinctively knows you’re having a crappy day (she might be a mind reader) and brings over your favorite snacks and every movie she can find with Christian Slater in it for you to binge watch with her. And there’s also the empath who somehow knows how to take all of your worry and heartache and fear and put it on herself so that you feel better. How she does it, you have no idea, but you immediately feel better when she’s around. All of this sounds like hard work to someone who has a hard time being empathetic, right? And while you might not necessarily be interested in learning how to be more empathetic, you can at least thank your empathetic friends for always putting up with you because it IS hard work. Keep reading for the zodiac signs who feel everything vs. the ones who feel nothing at all, according to astrology. Pisces is one of those zodiac signs who just can’t help but feel everything you feel. Whether you’re having a bad day, you’re excited, or you’ve got a lot of anger bubbling underneath the surface, you don’t even have to say anything for her to instinctively know what’s going on. 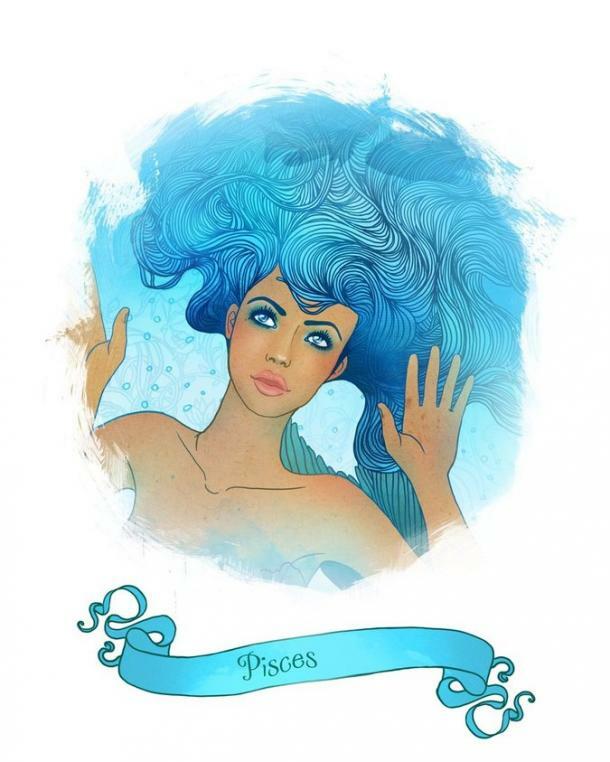 Pisces’ empathy makes her an amazing friend, but it can also have some negative effects on her, too. Because she’s always feeling every emotion so deeply, and because she cares so much, it’s common for her to bear the weight of everyone’s emotions on her shoulders along with her own. 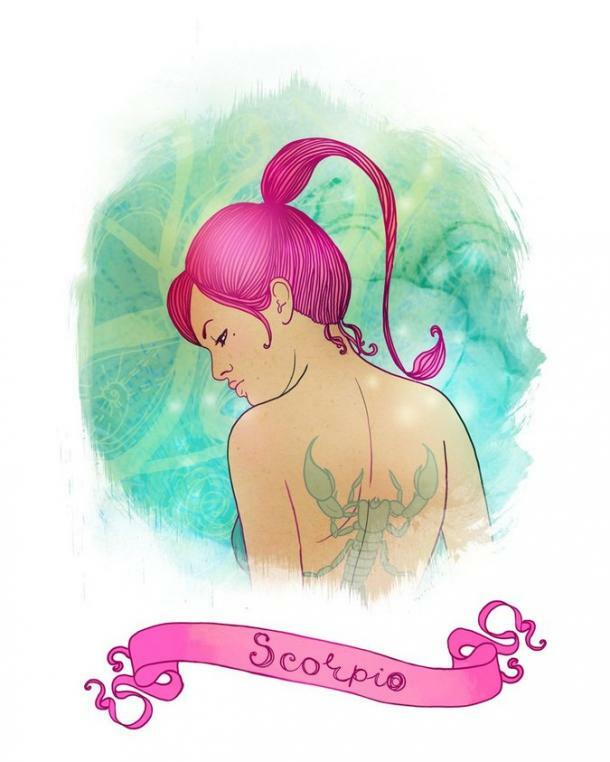 Just because Scorpio doesn’t always express her emotions around people doesn’t mean she isn’t empathetic. 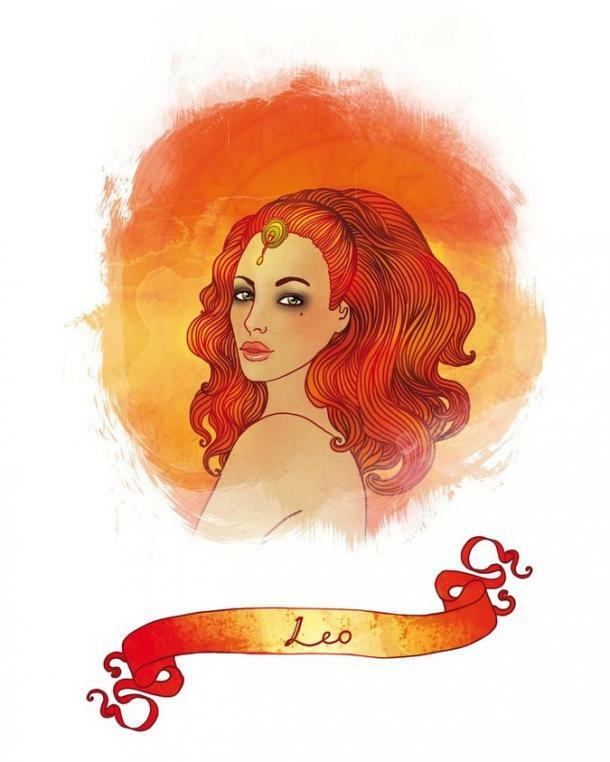 In fact, Scorpio treats expressing her true feelings around others like she does relationships – if she knows you won’t hurt her, she’s more likely to be vulnerable around you. Scorpio’s empathy comes from the amount of effort she puts into her friendships and relationships. She’s so involved in the lives of the people she loves that being so in tune with their emotions and feelings just comes naturally to her. 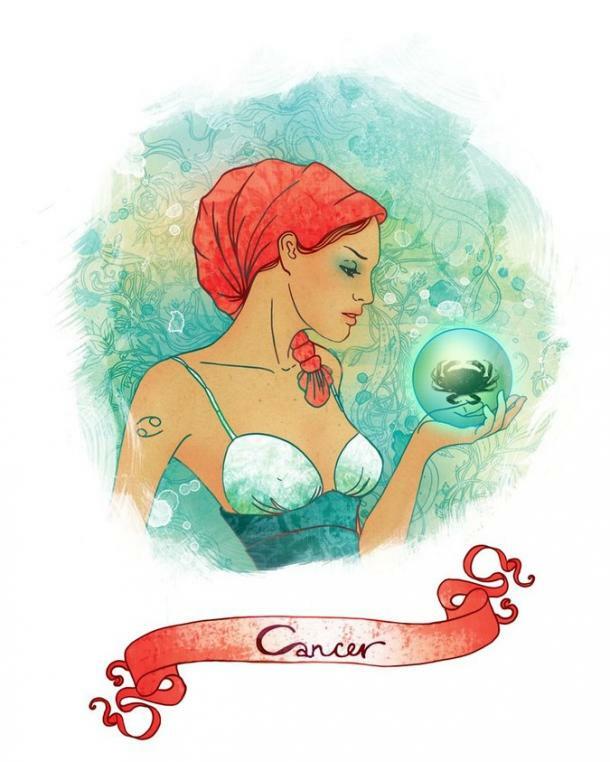 Cancer is the zodiac sign you should go to if you want someone to relate to what you’re feeling right now. A lot of the time, Cancer’s moodiness is seen as a negative trait, but it also makes it a lot easier for her to relate to what you’re going through, as well. Cancer can understand how you’re feeling and be empathetic to you because there’s a good chance that’s she’s felt it all before. She knows how to handle heartbreak, anger, and even give you advice about temperamental partners because she’s a pro at reading emotions. 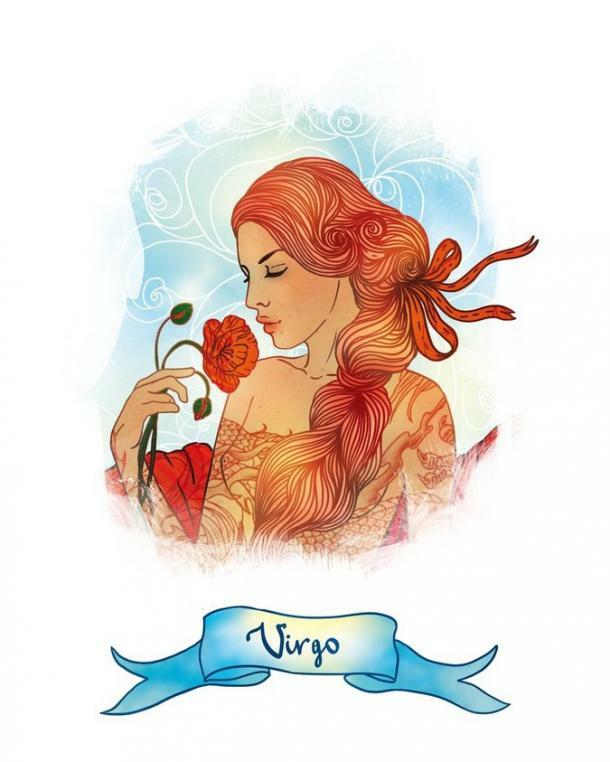 Virgo’s empathetic nature comes from being able to notice the little things about a person. Even if you tell everyone that you’re fine (but you know that’s not true), Virgo is the zodiac sign who will see that your eyes aren’t sparkling and your words don’t sound as genuine as usual. This trait is what makes Virgo such an amazing partner and BFF. While you’ll never be able to keep anything from her, you’ll also know that her ability to see right through the walls you put up is her way of showing you that she really cares about and empathizes with you. Taurus might not come by empathy for others as organically as some zodiac signs, but you can’t deny that her ability to make an effort to empathize with you is incredibly touching. Taurus doesn’t shy away from hard work, including the hard work that goes into relationships. She is the kind of person who will not only go to the ends of the earth to find out what’s going on with you and try to help you feel better, but she’ll do a lot of learning in the process so that when you’re feeling down again, she’ll know how to empathize with you even better than before. Leo is empathetic around the people she cares about the most. She might seem a little intimidating at first, but once you get to know her, you realize what a good friend she really is. And if you’re her BFF, she’s going to make an effort to relate to you when you need it. Leo tends to reserve her empathetic nature for those who deserve it. It’s not that she’s mean or rude if you’re not her friend, but she also knows when people really care about her and when they don’t. She can be super lovable, but you have to prove that you’ll mirror her empathy. I hate to say it, but I think it needs to be out there: Libra’s empathy can sometimes come off as fake. She’s the kind of person to go out of her way to make sure that she’s on your good side, even if she doesn’t like you, because it’s easier than being honest about her feelings. 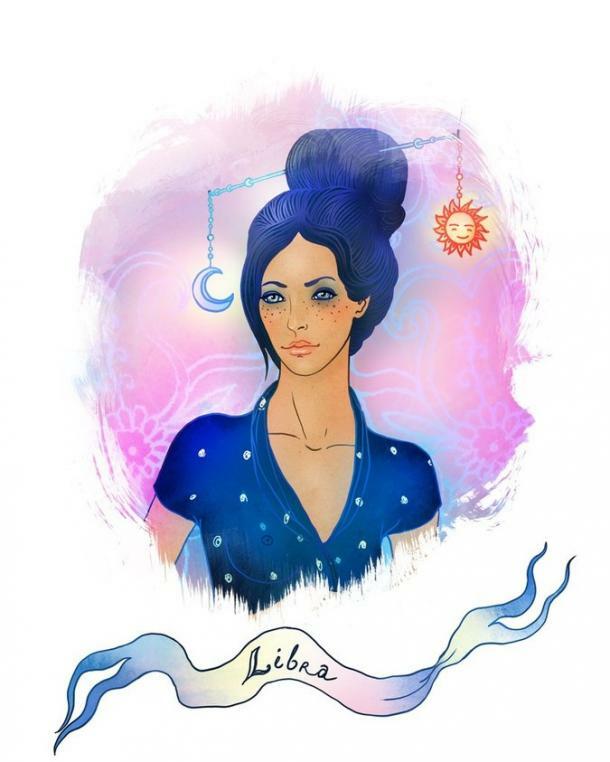 Unless Libra is your BFF, there’s a good chance her empathy isn’t genuine. In reality, she would much rather worry about her own problems than be the one people come to for advice or a shoulder to cry on, but she’ll never admit that out loud. Hey, she wants to be liked at all costs! 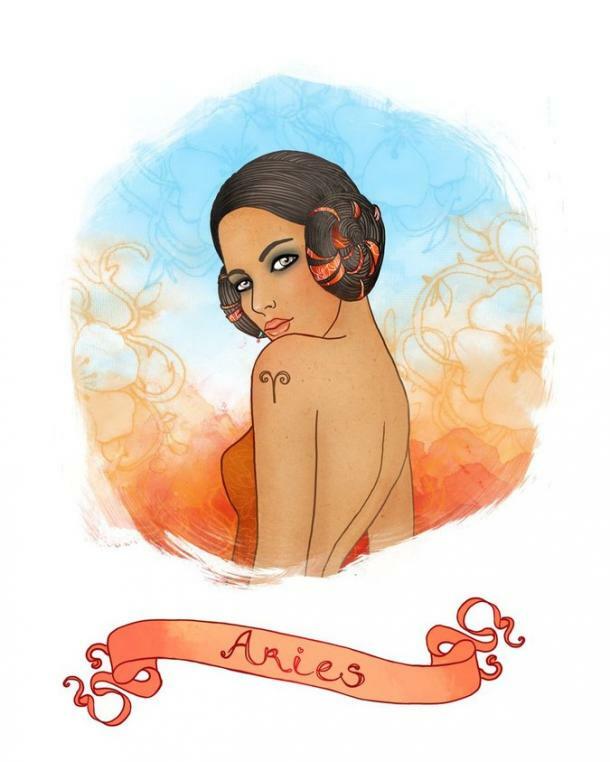 Aries is one of those zodiac signs that needs real-world examples for anything to make sense to her. Sure, she’s an amazing friend, but if you come to her with problems she can’t relate to, you probably won’t see much empathy from her. Don’t get me wrong, Aries certainly tries to make you feel better when you’re not feeling like yourself, but don’t be surprised or disappointed if her advice is to just shake it off and try again. It’s hard for her to connect with things that aren’t in her wheelhouse, so empathy isn’t easy. 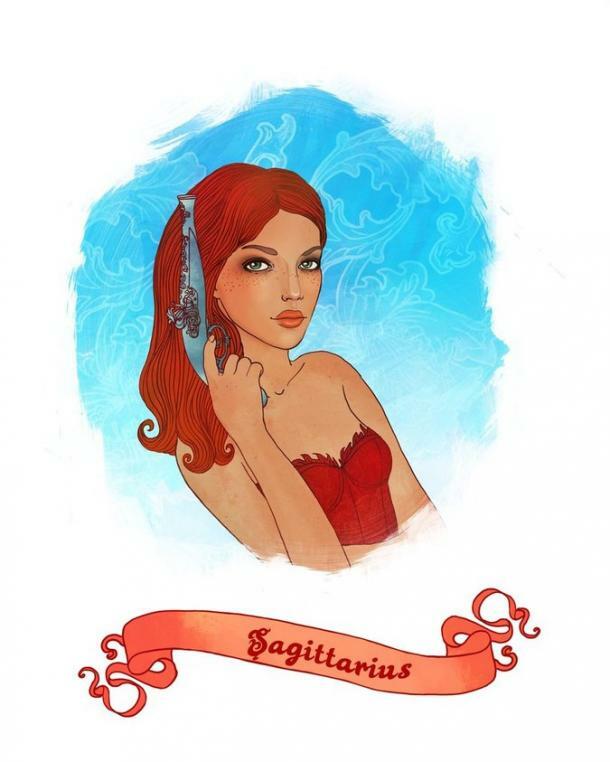 Sagittarius is more than happy to have deep, thought-provoking conversations with you, but when it comes to sharing feelings, she’s not as into it. It’s not that she won’t listen to you talk about what’s going on in your life, but don’t expect her to be fully engaged either. Sagittarius gets a little freaked out talking about feelings and emotions because it feels like a trap to her. Instead of giving her the option to open up on her own time, she feels like she’s being backed into a corner where she has no other choice but to flake on you emotionally. Gemini likes to think that she can be an empathetic person, but honestly, she’s the only one who thinks that. Everyone else who knows her thinks that her two-faced personality kind of makes it hard for her to be completely genuine. Ouch, I know, but someone had to say it. It’s not so much that Gemini has a hard time showing any emotions but that she has a hard time not judging you after hearing you vent. She might seem empathetic to your face, but behind your back, she’s talking about how she doesn’t know why you don’t just get over it already. Just because Capricorn’s outer layer seems a little reserved and blank doesn’t mean she doesn’t feel anything deep down inside of her. The only problem is that she’s never been known to express her emotions as freely as the other zodiac signs – it’s just not her thing. 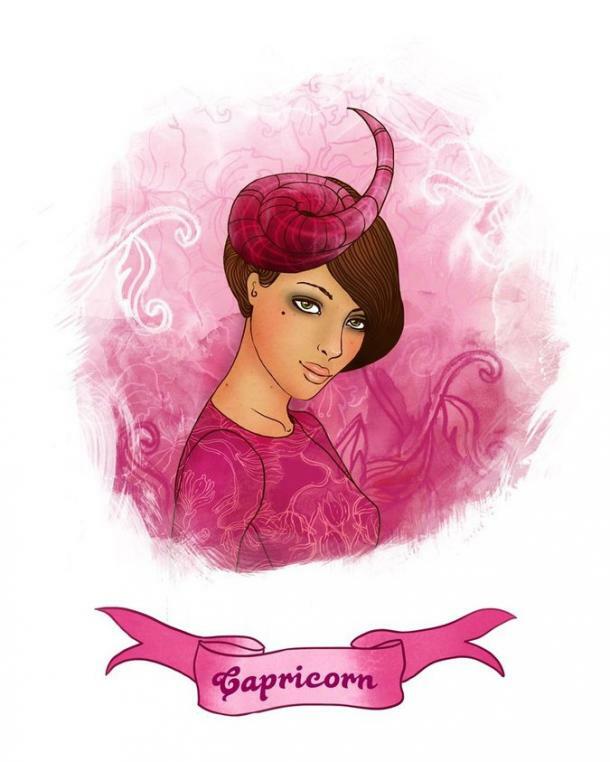 Capricorn likes to choose when and where to express emotion. It’s not that she doesn’t trust you to accept who she is; it’s almost like she gets hyper-focused on what’s going on inside her head that she forgets to listen to her heart, which always makes her seem more serious than she is. 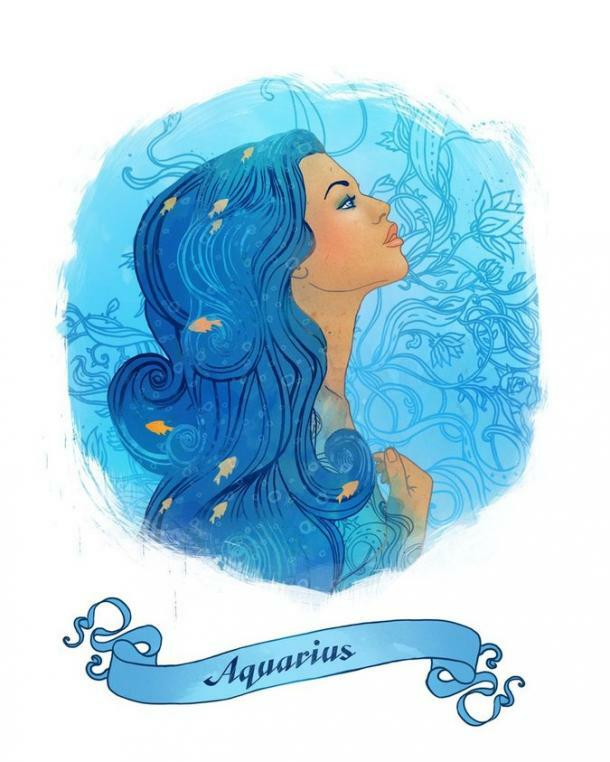 Aquarius is another zodiac sign that spends more time using her head to solve problems and accomplish things in life than her heart. While it isn’t a problem to be so logical all the time, it does make it hard for her to connect with others who want a more emotional connection. Aquarius has always been the most aloof zodiac sign. Not only is it impossible to tell what she’s really thinking or feeling, but there’s a good chance she doesn’t even know what she’s feeling. She’s never been one to express much of any emotion – kind of like a futuristic robot.